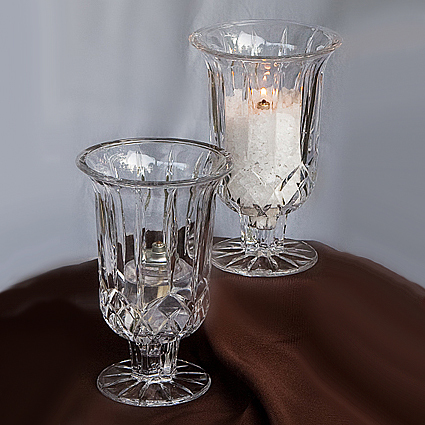 Crystal tuscany vases popular for weddings, anniversary's, and private parties. Also rent wooden blocks to go underneath the vase to make your centerpieces taller if needed (as shown here). To see what we did with them Click Here.